ORLANDO, Fla. -- A Central Florida woman was nearly forced out of her house by her homeowners association after she fell behind in paying her dues. Rebecca Nicoll is a widow and mother of three who lives in the Springs of Suntree subdivision in Brevard County. Nicoll's her homeowners association recently sent her a letter that stated the association "intends to foreclose" if the amount she owes isn't paid in full within 45 days. Nicoll, whose mortgage is current, contacted Local 6 News for help. "I had no idea that someone else could put me and my children out of our home just for nonpayment of dues," she said. 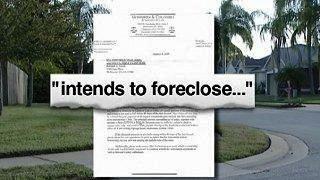 Local 6 News reporter Mike Holfeld began investigating and found that a new trend for the HOAs is to file liens and foreclosure notices on homeowners who fall behind in payment of their dues. Holfeld said that homeowners should not feel intimidated, saying that residents can negotiate. Ray, died of brain cancer in 1998. "I put down about half the price of the home when I first moved in here just trying to make a safe place for my children to be." Her husband's survivor benefits allowed her to keep her family going and move to Brevard County. She said she started missing dues payments last year when she got sick. "We did not want her to lose her house, and we would have taken payments however she wanted to do it," said Paul Sacco, the former president of the HOA. Sacco admitted that the letter sent to Nicoll is a scare tactic, but he said the board voted to have an attorney send it because Nicoll owed $375 plus fines totaling more than $1,200. "I think it's heartless," said Orlando attorney Barbara Stage, who agreed to help Nicoll. "My reaction to all this is, 'Yeah, you have a legal right to do it, but should you do it? Is it ethical?'" A board member of the HOA told Holfeld that the board will do whatever it takes to ensure payment is made so the HOA can survive. gets the money it is owed when the house is sold and the homeowner gets the rest. 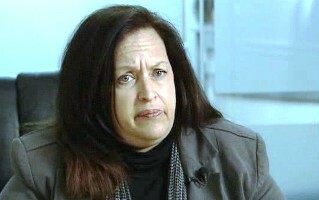 A homeowners advocacy group called "Cyber Citizens for Justice" provided Nicoll with the money to pay her overdue fees.